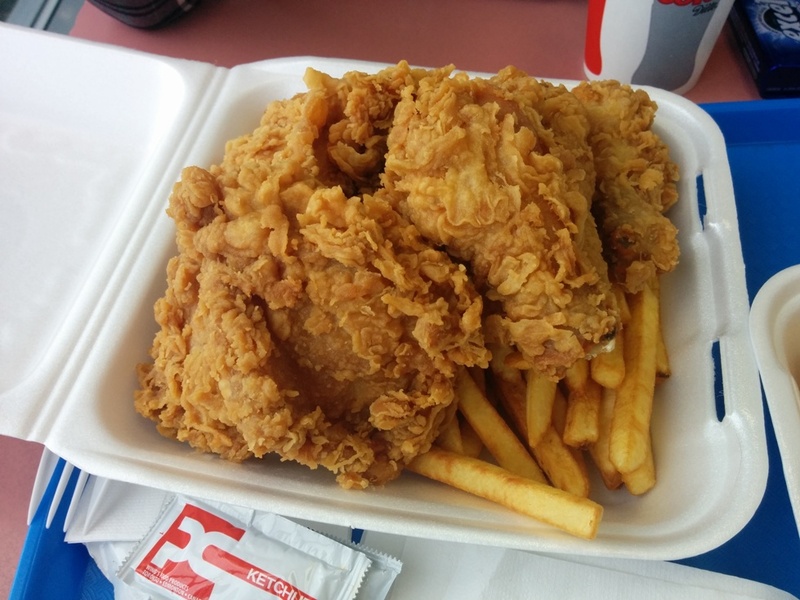 I’ve heard a lot about L.A. Chicken and I finally got the chance to try it last week! I actually tried some leftover chicken before that my brother brought home and it was still delicious so I knew that the freshly deep fried chicken would be amazing. You know how much I love chicken kaarage! The place is quite small and there are only 3 tables but we managed to snag the last one! It’s located on No. 5 road near Cambie and across from a park. It would be nice to get chicken and eat it in the park in the summer! Like a picnic where you don’t have to cook. There was a family special for 8 pieces of chicken (mix of breast and thigh) with medium fries and gravy and 2 drinks. All for $23. Sounds like a deal to me! You can choose to get a mix of spicy chicken and regular chicken. This was the Spicy Chicken and the batter looks different than the regular batter. It was more crispy? It had a very mild spicy flavour. If you didn’t tell me it was spicy I might not be able to tell. This was the Regular Chicken. I like the regular batter more since it felt like it had more flavour or seasoning? The chicken was moist and juicy on the inside and crispy on the outside. It was so good!!! The fries on the other hand were pretty average… it didn’t really have flavour and they were limp and not crispy. However, good thing it came with gravy because the fries dunked in gravy were perfect. The thick gravy was also seasoned well and had a strong peppery flavour to it. Ketchup was provided in packets but we didn’t end up using it. Although we ordered 8 pieces, they actually gave us 10!!! Wow what a deal! According to my Instagram follower, they are known to give extra pieces if they feel that the pieces aren’t big enough. They seemed pretty big to me! We ended up having 2 pieces leftover so 8 pieces would’ve been perfect for us but I’m not complaining!!! I’m glad they’re far away from me or I could be there very often. 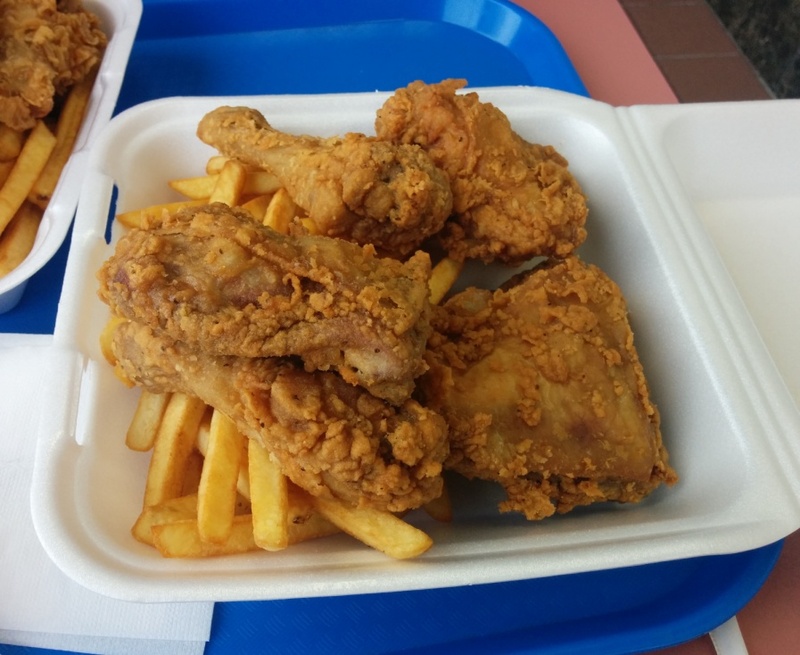 This entry was posted in Fast Food, Food Reviews and tagged fried chicken, fries, gravy.